Checking off its 62nd success, Soyuz FG dispatched the 7,200-Kilogram spacecraft into its target orbit eight minutes and 48 seconds after liftoff as the force of raw rocket power faded into the sensation of microgravity for Commander Shkaplerov and his two rookie flight engineers who became the 561st and 562nd humans to reach space. Embarking on the longer 34-orbit rendezvous profile, the three crew members settled in aboard their confined spacecraft for a two-night stay, overseeing the initial orbit-raising maneuvers several hours after launch and another burn on Monday before Soyuz entered its fully automated rendezvous sequence on Tuesday, leading up to a computer-controlled docking maneuver to the Station’s Rassvet module that had been vacated just five days earlier by the Soyuz MS-05 spacecraft for its return to Earth. 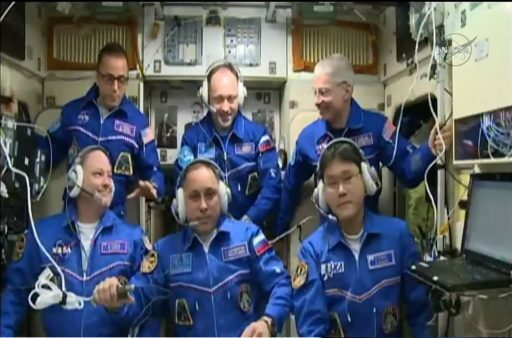 This latest rapid-fire ISS crew rotation with Soyuz MS-05 crew members Sergey Ryazanskiy, Randy Bresnik and Paolo Nespoli departing last Thursday and the MS-07 trio arriving a mere five days later was the result of the MS-07 launch being brought forward by ten days from an original December 27 target. This was the result of a request by NASA in an effort to de-conflict with the upcoming holidays and a desire to avoid having personnel at the Kazakh launch site or in transit. 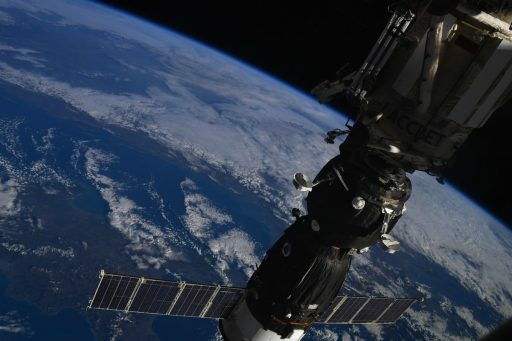 Roscosmos agreed to the date change, coming at the cost of losing the planned same-day rendezvous but gaining eight additional days of six-crew operations aboard ISS where more hands mean more science gets done. Science will indeed be the focus of the Expedition 54/55 crew members, looking at a packed schedule with over 320 active experiments during their tenure – a step up from the recent average of around 250 studies, enabled by the USOS crew increase earlier in the year, made possible by Russia temporarily stepping its crew contingent down to two members until the MLM Nauka laboratory module launches to ISS. Science aboard ISS covers virtually all branches with obvious focus on the human and technological aspects of spaceflight that can be safely tested in a Low Earth Orbit environment before sending explorers to the deeper reaches of the solar system. A number of studies in progress on ISS also have direct benefits for those who are Earth-bound with recent experiments to further cancer research, develop countermeasures for bone- and muscle-wasting diseases and proof-of-concept experiments for manufacturing high-grade electronic and optical components in orbit with much-improved quality than those produced on Earth. 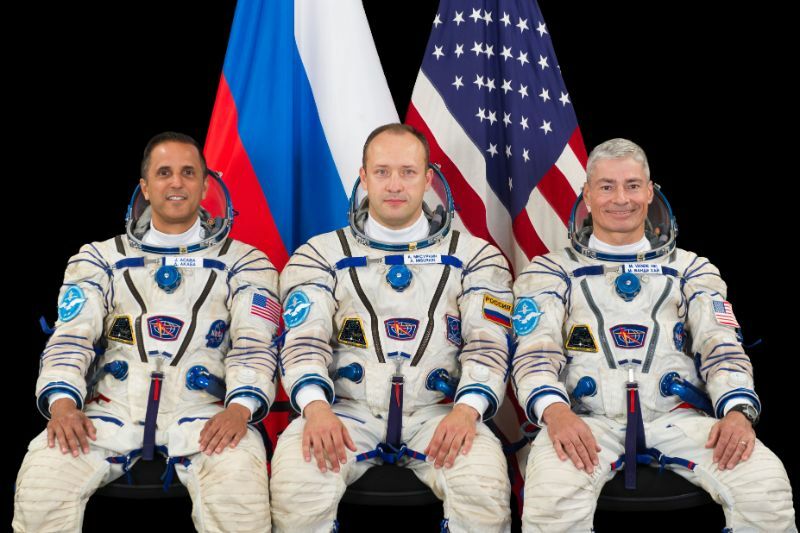 In addition to science, the crew will support ISS operations including regular maintenance and upkeep as well as four visiting vehicles expected to arrive during their stay. Spacewalks, per recent ISS schedule changes, will also be a major task for the crew come 2018 – starting off with a pair of U.S. EVAs in January to swap out the second Latching End Effector on Canadarm2. 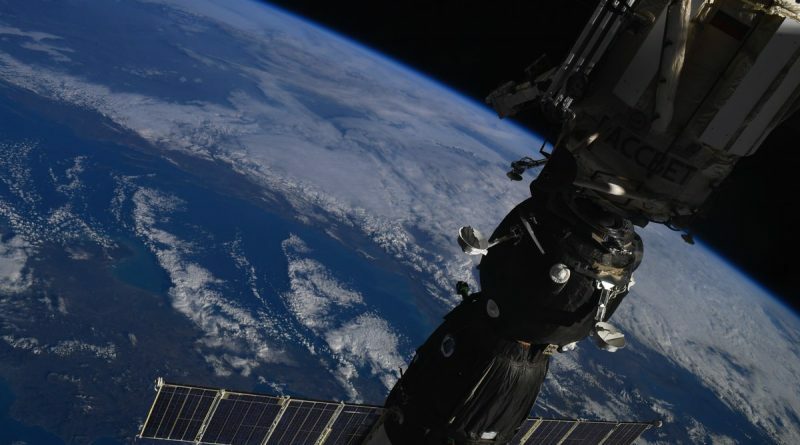 The Space Station’s prime robotic asset had its LEE-A replaced back in October and the same will be done on the other end of the 18-meter long arm to rejuvenate its grappling hands used to capture visiting vehicles and move external equipment. These EVAs will be followed closely by a Russian EVA in early February and up to four EVAs are penciled in for May – three USOS excursions for various tasks including camera installations and the relocation of large external spares, and one Russian EVA to begin the process of outfitting the Russian Segment to receive the MLM Nauka as its launch date – after over a decade of delays – has been set for December 20, 2018. 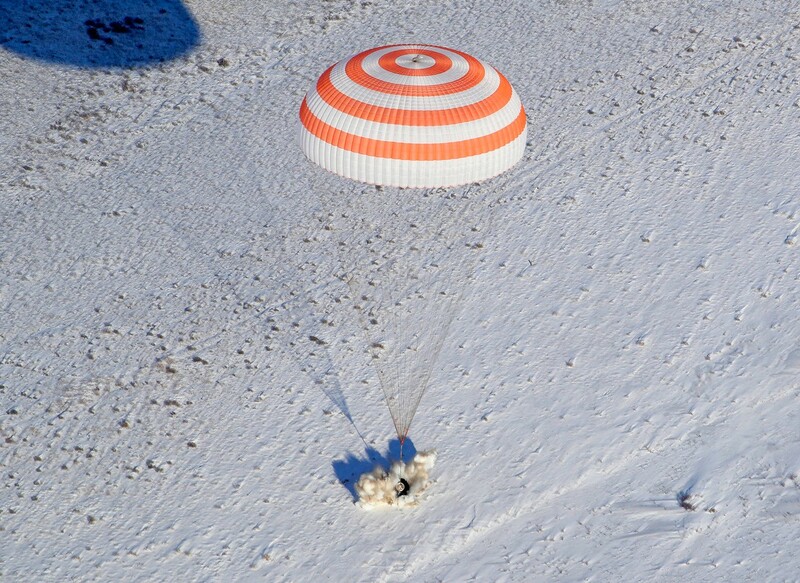 Having enjoyed a smooth ride atop its Soyuz FG rocket, the 136th Soyuz mission started out in an orbit of 180 by 235 Kilometers, 51.63° from where it was to maneuver up into the Space Station’s current 402 by 406-Kilometer orbit over the course of two days, approaching the complex from behind and below after essentially lapping it once – passing 200km underneath ISS less than three hours after liftoff and catching up one entire orbit over the next two days due to the craft’s shorter orbital period. Soyuz MS-07, flying under the call sign ‘Astrey,’ deployed its solar arrays and communications antennas within seconds of reaching orbit and the Unified Propulsion System was pressurized to allow the spacecraft to stabilize its orientation as it headed off on the first lap around the planet. On the third orbit, Soyuz fired its 300-Kilogram-force SKD engine twice to maneuver into an orbit of 254 by 263 Kilometers and the crew members began their first sleep period on Orbit #6. Monday was a fairly quiet day for the three crew members, completing a minor orbit adjustment on Orbit #17 to position Soyuz for the rendezvous and Anton Shkaplerov was tasked with a manual control test to ensure he could bring the spacecraft in for a manual docking should the automated system encounter a problem. On Tuesday, Soyuz initiated its Automated Rendezvous Phase that began with a final ground-targeted engine burn taking the Soyuz another large step closer to its orbital destination – placing it on a course into the 200-Kilometer communications zone around ISS where the craft began the relative navigation phase of the rendezvous through the KURS radio navigation system. KURS-NA and its counterpart on ISS were powered up at around 7:08 UTC and Soyuz was first tasked with locking onto KURS through its AO-753A phased array antenna for initial line-of-sight angle and pitch measurements. Two ASF-1 antennas came into play at closer distance to obtain additional range, range rate and angular information. A 41-meter-per-second main engine burn at 7:32 UTC put Soyuz on a path toward its Ballistic Targeting Point – an imaginary target painted in the empty sky around 1 Kilometer from ISS. 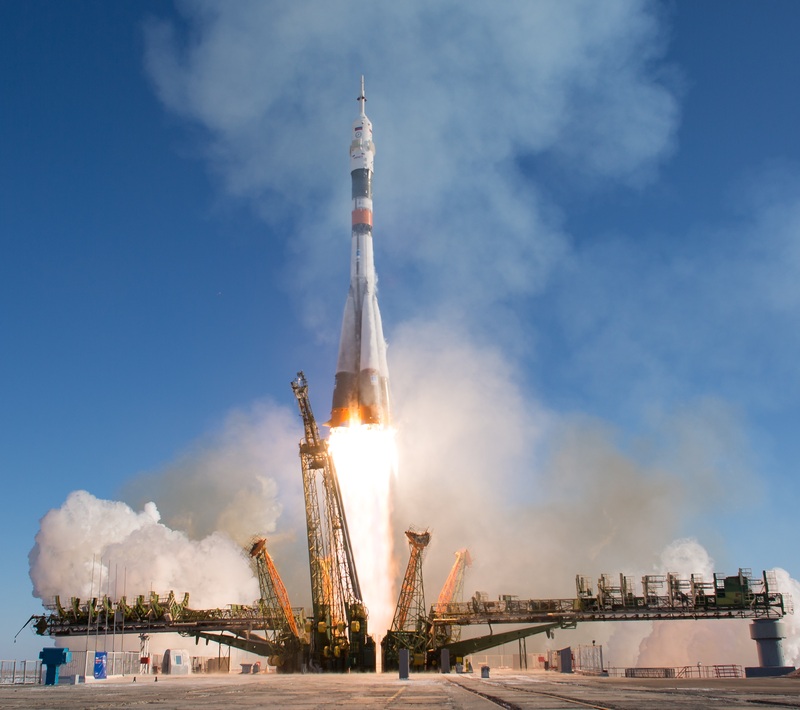 Aiming for a point at a safe miss distance allows Soyuz to enter a passive abort in case of major anomalies occurring at distances greater than 400 meters. KURS-NA performance was verified when Soyuz was at 45 and 15 Kilometers and the rendezvous proceeded into automatic mode with Soyuz swinging back and forth between its line-of-sight and burn orientation as it performed a series of SKD firings to reduce the targeting offset before the DPO thrusters came into play to slow Soyuz down for the start of the flyaround. 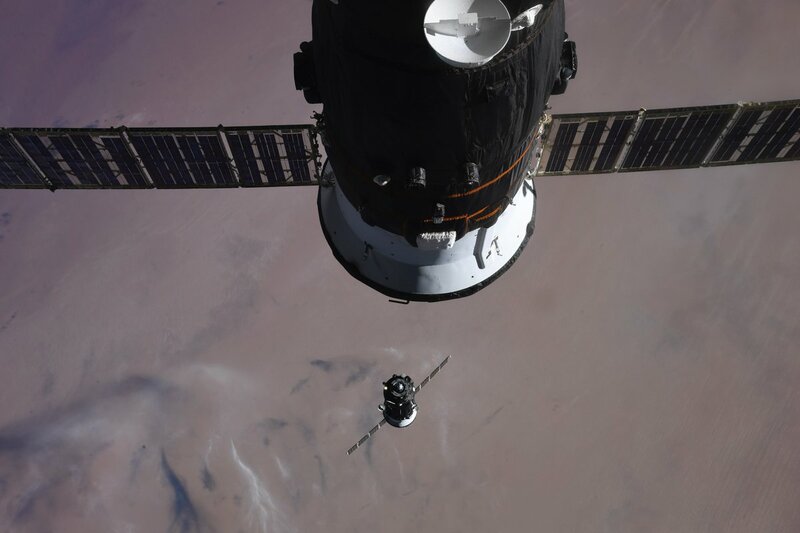 Reaching a distance of 400 meters, Soyuz switched into a 58-degree flyaround to line up with the nadir-facing Rassvet module, continuing to a range of 200 meters. Once in alignment with its docking port, Soyuz MS-07 came to a halt staring up toward Rassvet while teams on the ground verified all was ready for final approach. With a GO from the ground, Anton Shkaplerov commanded Soyuz into Final Approach Mode, upon which the spacecraft fired its DPO thrusters to initiate a straight-up approach to Rassvet at an initial speed of 0.8 meters per second. 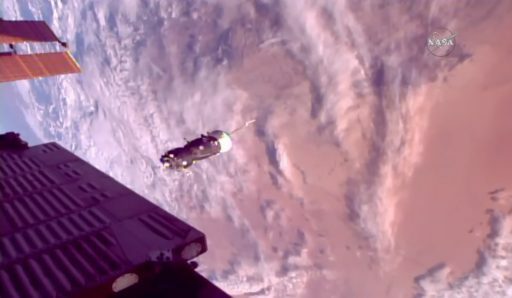 Soyuz reduced speed to under 0.2m/s for contact and powered up its docking mechanism as it covered the final meters to arrival. Upon contact, the docking probe slid into the docking cone on Rassvet and the detection of contact triggered Soyuz to fire its DPO thrusters to push forward and ensure that capture latches would engage to create a safe docking. Capture was confirmed at 8:39:03 UTC while ISS and Soyuz were flying over the Boot of Italy; docking occurred two days, one hour and 18 minutes into the flight of Soyuz MS-07. 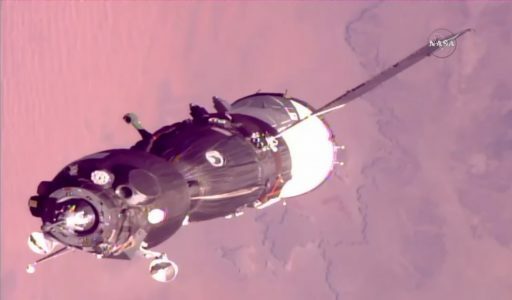 The successful docking set in motion the typical sequence of retracting the docking probe and closing hooks to form a rigid structural connection between Soyuz and ISS, allowing power and data interfaces to be mated and the vestibule between the two craft to pressurize for leak checks. The three arriving crew members kept an eye on pressure readings for a little over an hour before the GO was given to open the Rassvet module’s hatch, equalize the pressure with ISS and open up the Soyuz hatch. Hatches swung open at 10:55 UTC to unite the Expedition 54 crew in orbit with a few busy days of science and handover operations planned for the coming days before the six crew members in orbit will also be able to settle down for a few days off around the holidays. 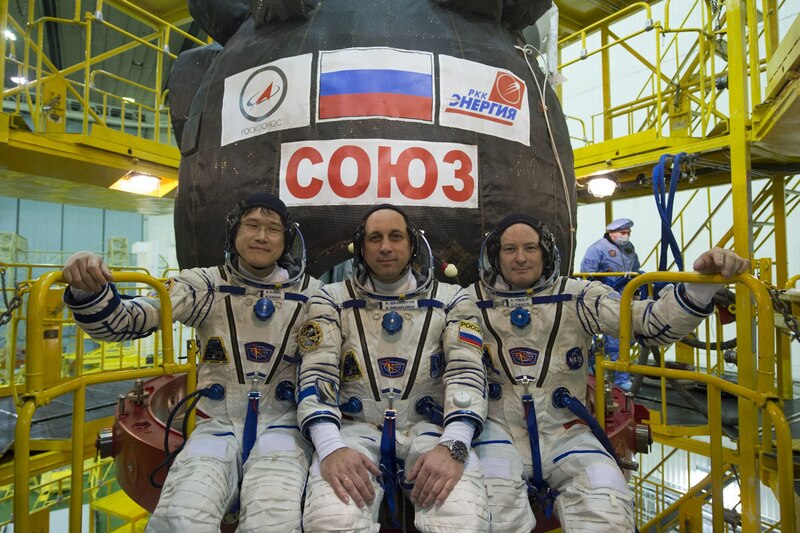 Photos: Soyuz Takes Flight with ISS Crew Trio from Russia, Japan & the U.S.
December 17, 2017 Patrick Blau Comments Off on Photos: Soyuz Takes Flight with ISS Crew Trio from Russia, Japan & the U.S. 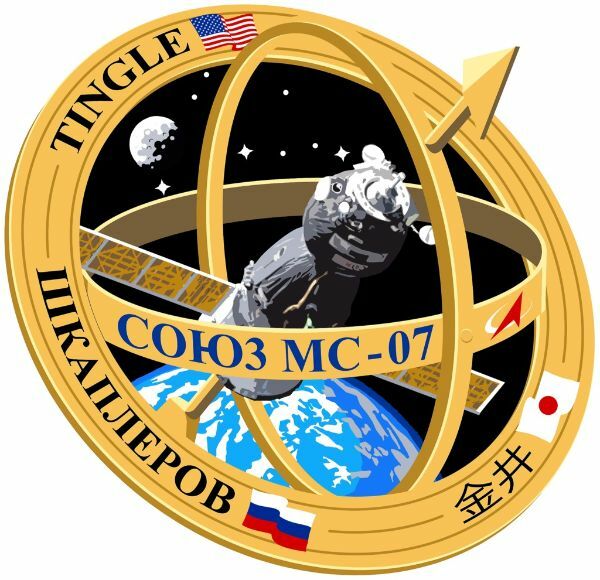 Copyright © 2019 Soyuz MS-07 | Spaceflight101. All rights reserved.